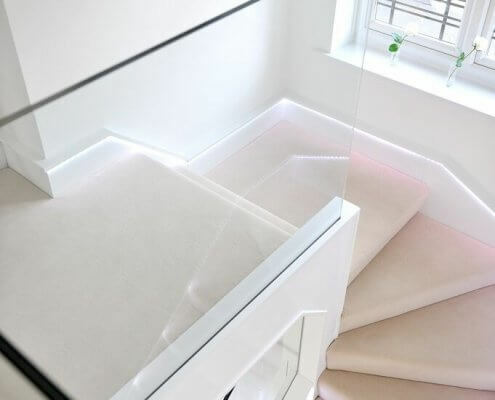 Mr. and Mrs. Jones wanted a modern staircase that would complement the minimalistic interior of their home. 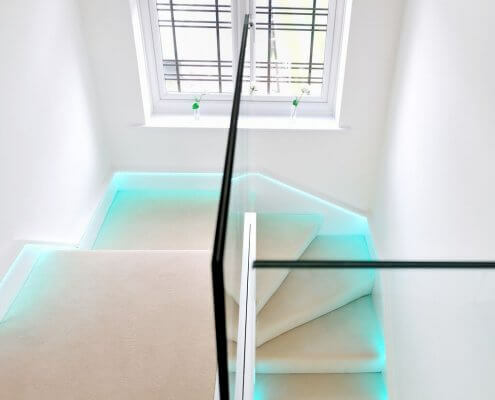 After considering the modern design and decor of their home, we decided to use glass with LED light strips to create the illusion of extra space and light. 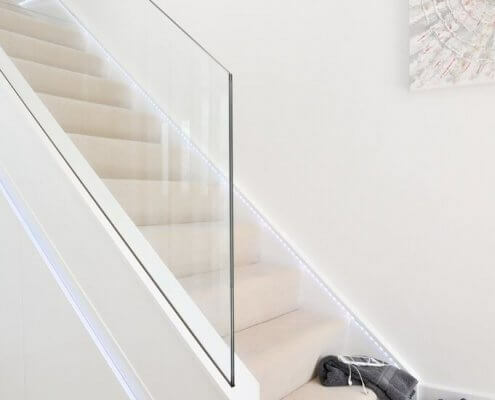 The staircase uses minimalistic glass panels to form the balustrade, combined with subtle LED light strips that run the length of the staircase. 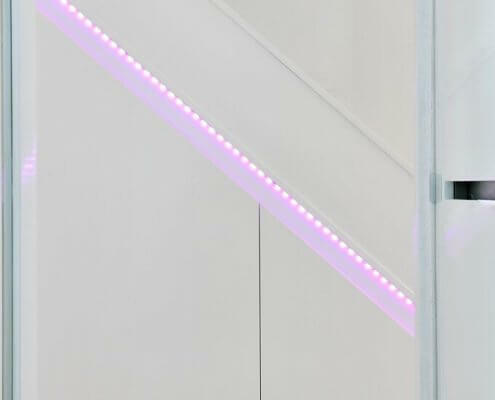 The coloured LED lights are a striking feature of the design, but the staircase blends seamlessly with the modern decor of the hallway.